I’ll be going out to a girls’ dinner tonight to celebrate my birthday with some of the best moms I know (Ali-Shaun included!) and then we’ll celebrate with the fam this weekend. For Jordan’s 1st birthday, we threw a garden themed party and I spent months planning it. For her 2nd birthday, although just as special, the party planning was a bit more, um, spontaneous! Thank you Pinterest and Etsy! One of the first shows Jordan went crazy for and asked for by name, just “Paw” at first, was Paw Patrol. 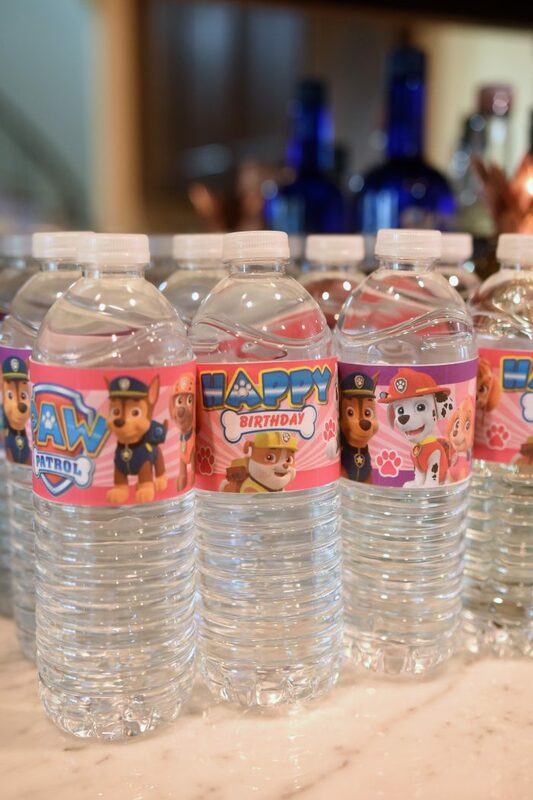 So, it was only natural to throw a Paw Patrol themed party! I figured it would be easy and found a few cute and inexpensive things that would be darling to her. 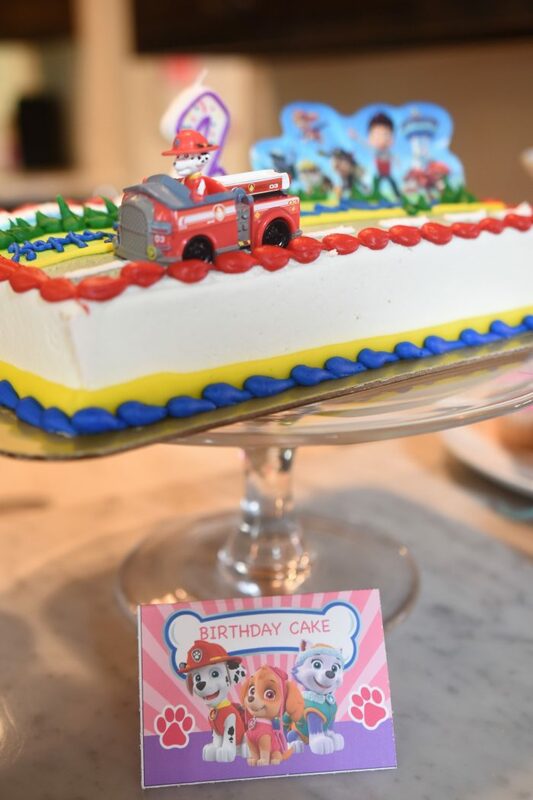 But, when you have a toddler named Jordan having a Paw Patrol party, you better make real sure that they bakery knows that your Jordan is a girl or they will give you a “boy” cake! 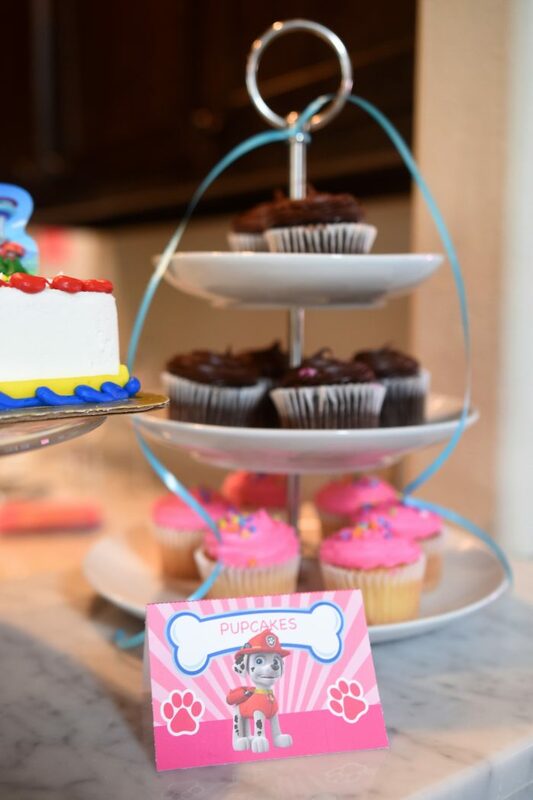 It was fine, but the cake I ordered was white with pink icing and had pink and purple Paw Patrol decorations on it! My husband went to pick it up and didn’t realize it wasn’t what I ordered. :/ But, it was still delicious and she didn’t care what color it was. 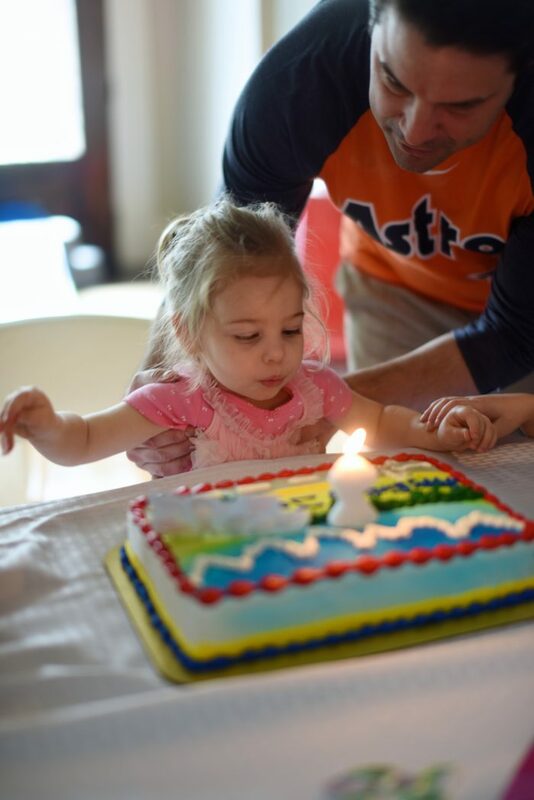 She immediately picked up the firetruck when we put the cake down in front of her! 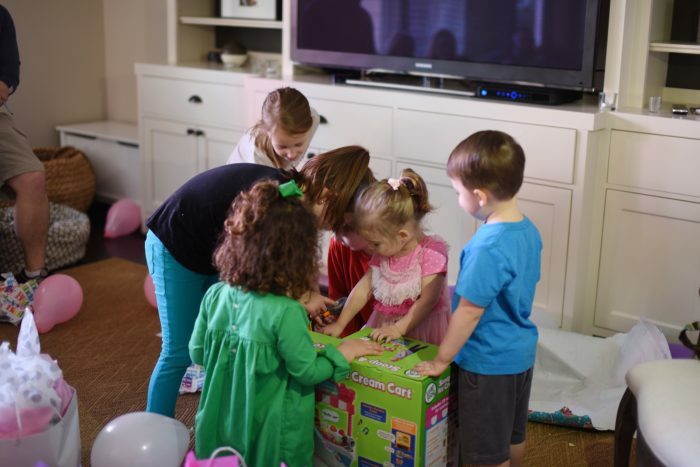 It always takes lots of kiddos to help open the gifts! 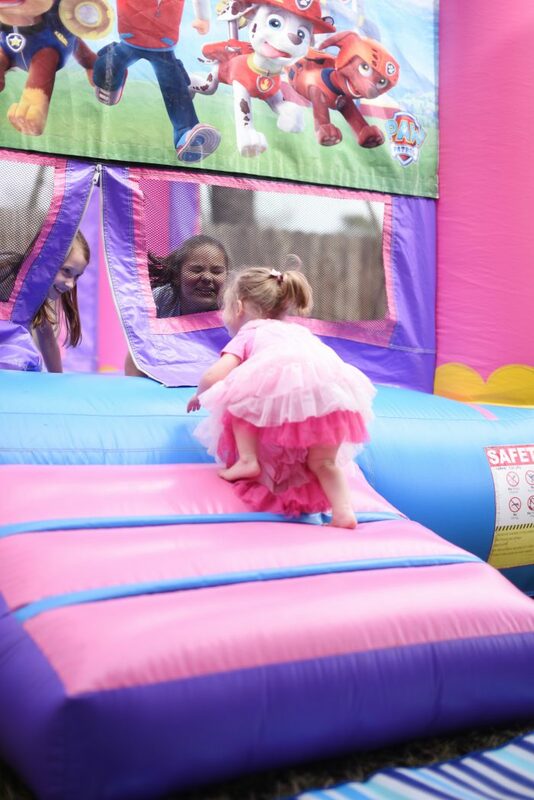 We got a bounce house and that was actually a great idea. All the kids loved it from age 1 to 9 and we had great weather for it. 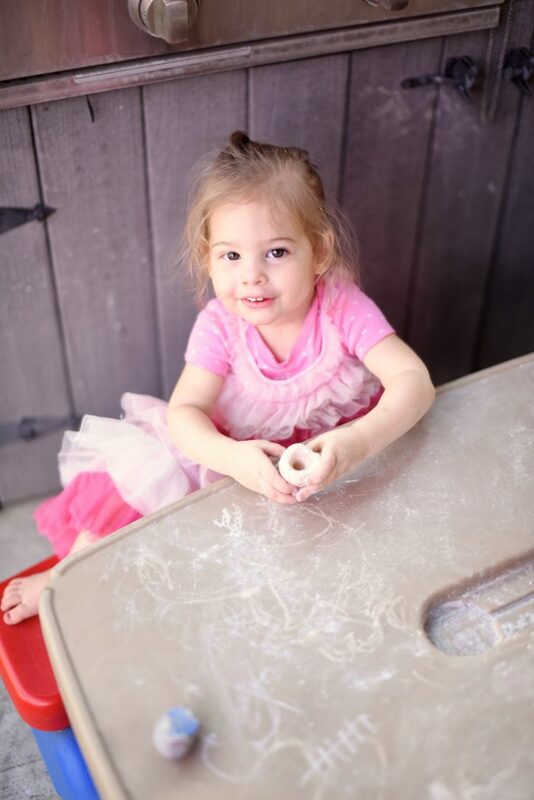 Jordan likes to do her own thing too, so she kept wanting to color chalk on the little plastic patio table. #itsyourparty! I sat down and colored with her for a bit and that was the only picture that we got together! We didn’t even get a family photo! UG! 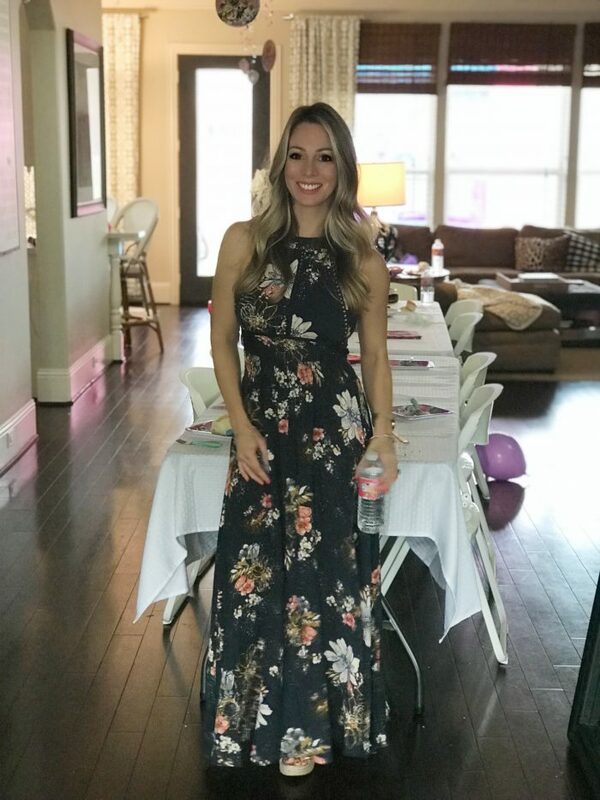 I got one more pic at the very end of the party of me in my maxi dress, just before clean-up time! Her party was from 11-1 on Sunday, so we served MIMOSAS! Ha, but true, some appetizers to start and around noon served mini pulled pork sandwiches and baked beans. We’re obviously loving the fast/slow pro! The appetizers were: cucumber and smoked salmon bites, bacon wrapped jalepenos, and caprese skewers. The cucumber bites were my fave and nice and light. You slice a cucumber, then add Phili cream cheese with chive and onions (it’s premade that way), smoked salmon, and sprinkle with fresh dill. Really yummy for an easy appetizer! 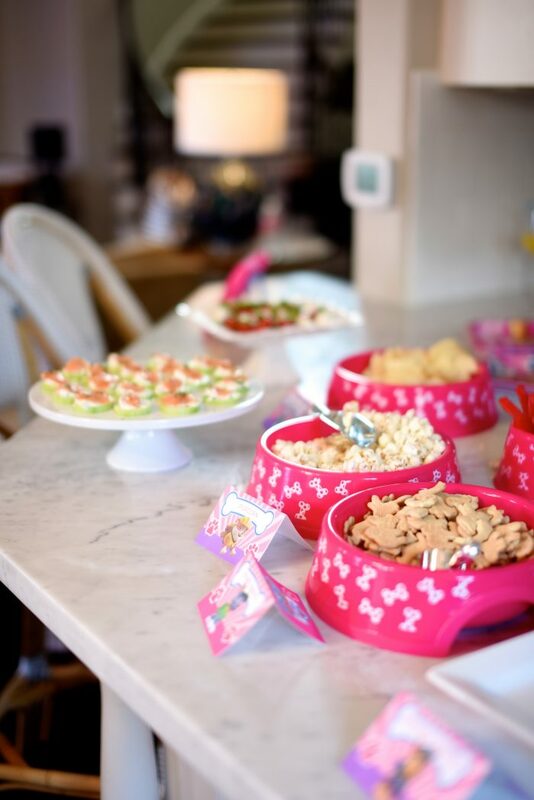 We also had chips, popcorn, Twizzlers, and animal crackers served in pink plastic doggie bowls from Petsmart to go with the theme of the party. 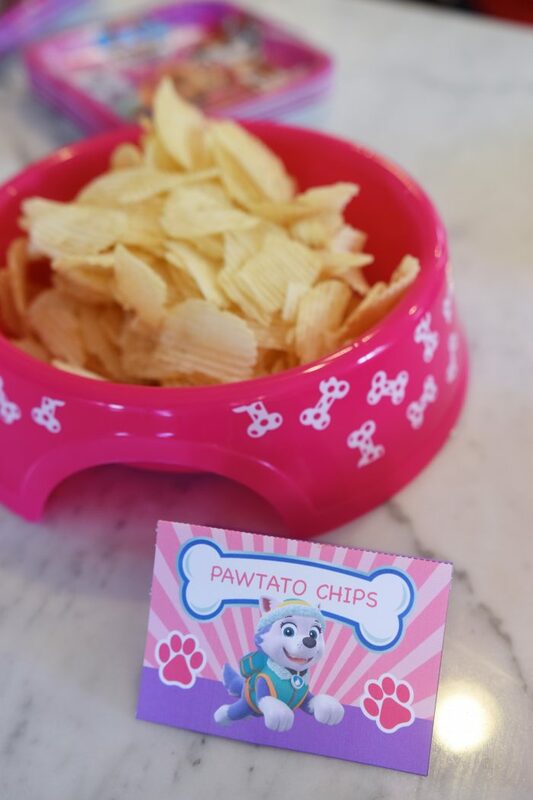 I used Paw Patrol food tents and had fun with the names of the food. 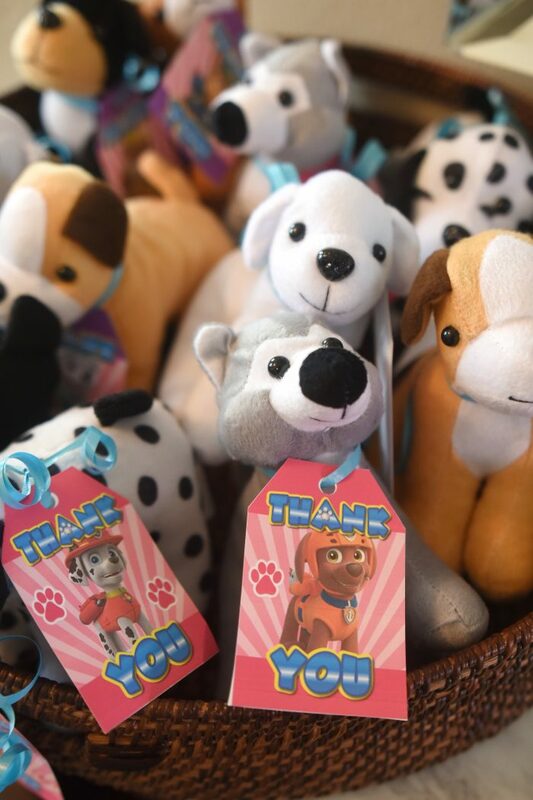 Petsmart was near my grocery store, but if you have more time to plan, I bet you could find cheap dog bows at the dollar store. 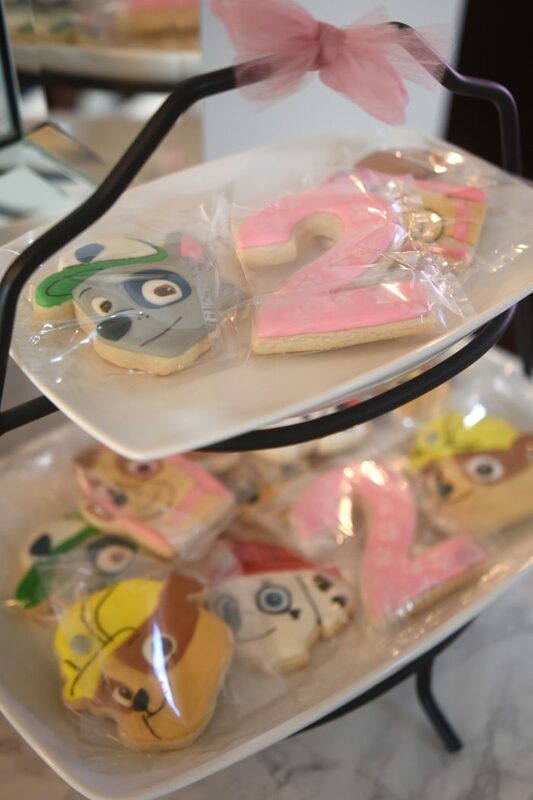 My friend Sally makes the cutest custom cookies! But not only are they adorable, they are DELICIOUS! I kept them in their individual wrappers to give to the kids who came to the party. 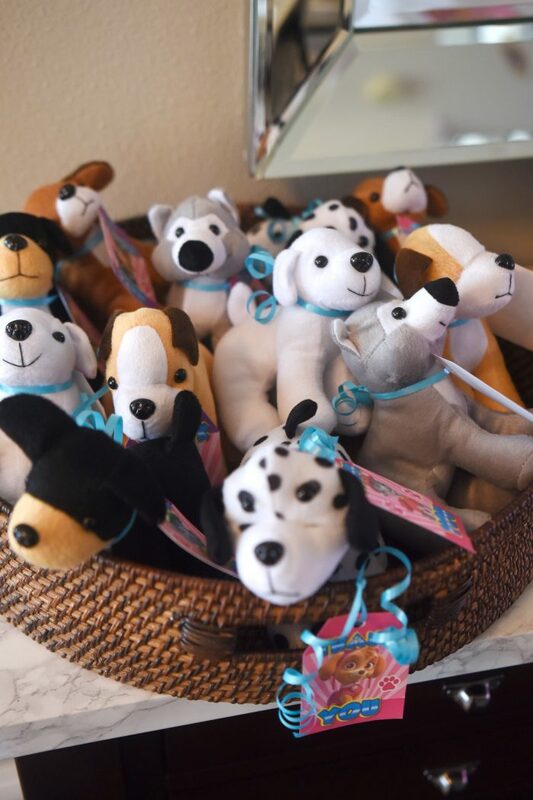 We also gave these little plush puppies with an adoption certificate and a thank you tag. I thought that was the cutest idea! The stuffed puppies came in a pack of 12 for only $19 and were actually really cute. 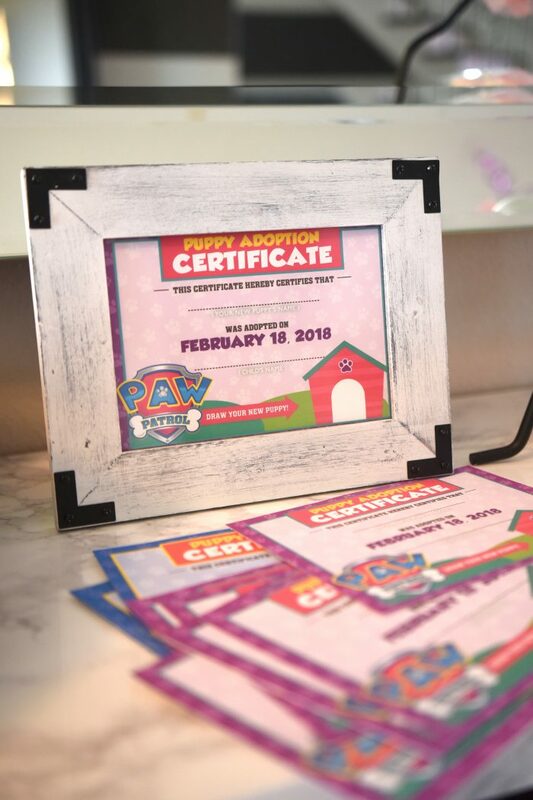 The adoption certificate was from TheGreatInvitation on Etsy. 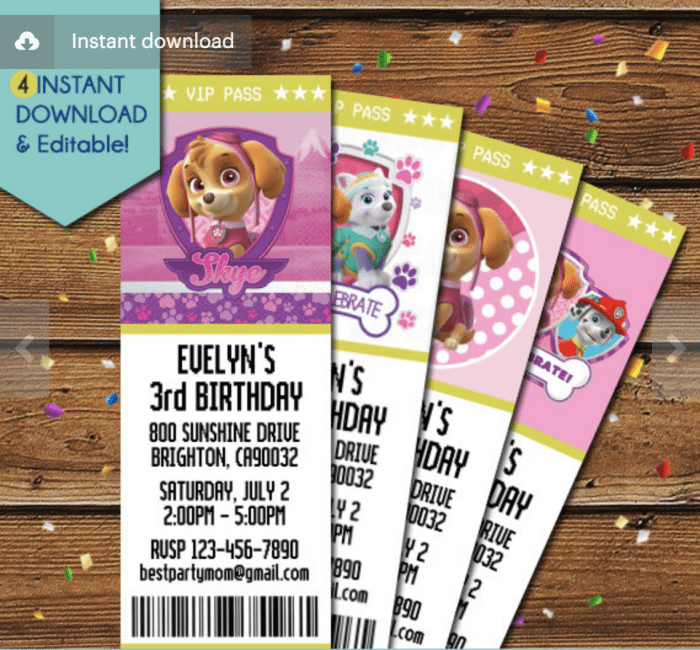 The Paw Patrol invitations were also from Etsy, PartyInvitationsHQ. It was a small party, but still just as sweet to honor our precious girl! We could not love her more! 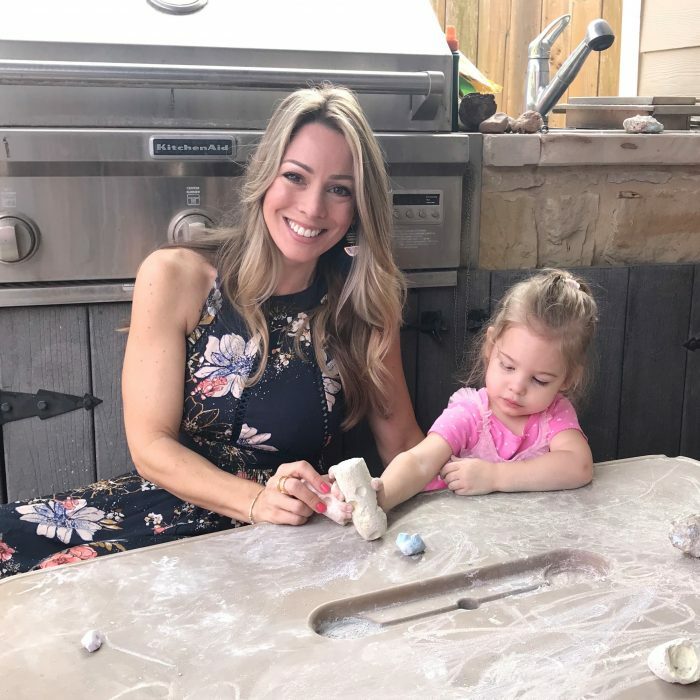 Thank you so much for Jordan’s sweet birthday wishes! 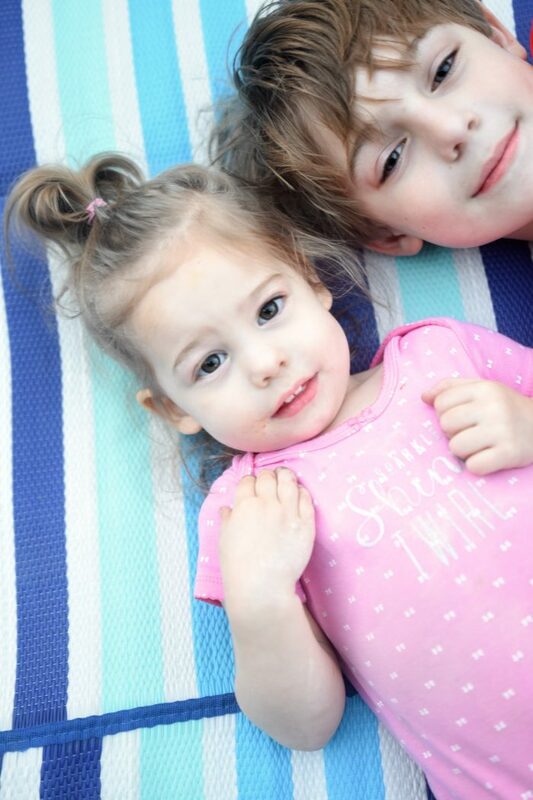 I can’t wait to show them to her when she’s older- how wild will that be?! First of all, Happy Birthday to you!!! You are so beautiful inside and out! Jordan’s party was so cute! She is such a smart and fun little girl. You are truly blessed with a beautiful family. Happy Birthday, Megan! Enjoy your day. Happy birthday to you sweet Megan. Jordan’s birthday was fantastic, she is adorable and looked so happy. You were fabulous in your maxi dress. 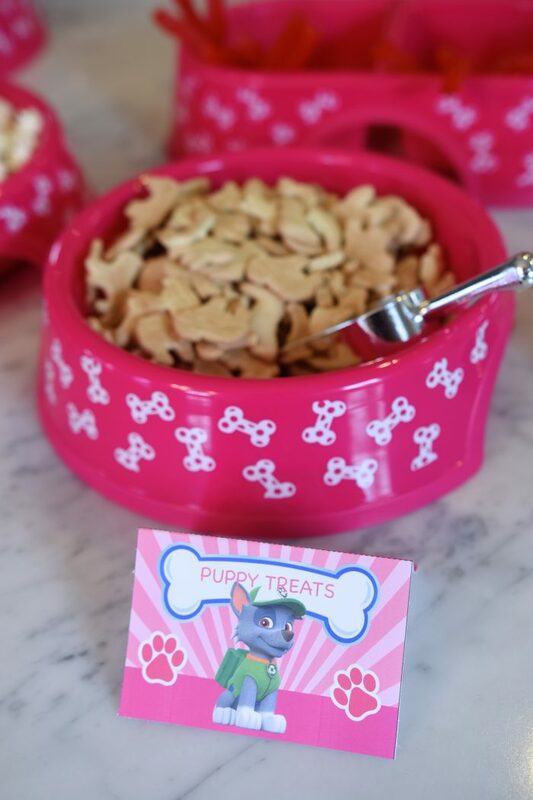 That is such a cute party, I love the puppy adoption idea, and the little dog bowls for the treats. 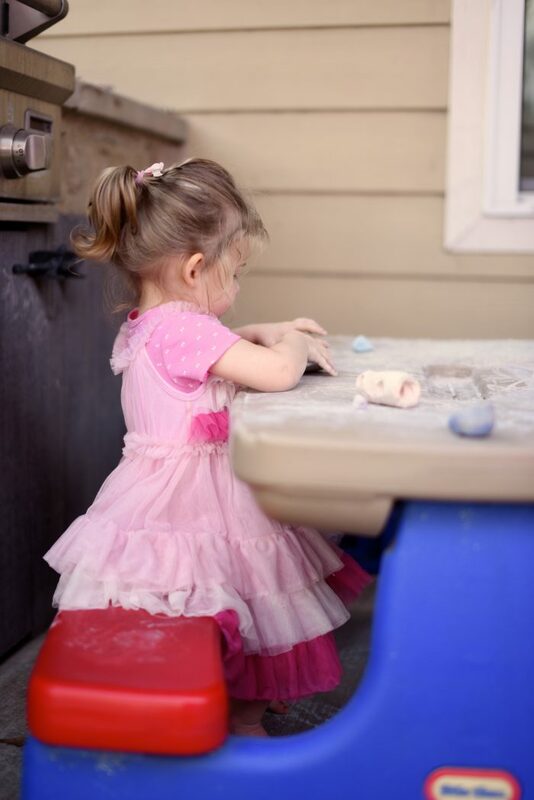 She looks so sweet in that pink dress. 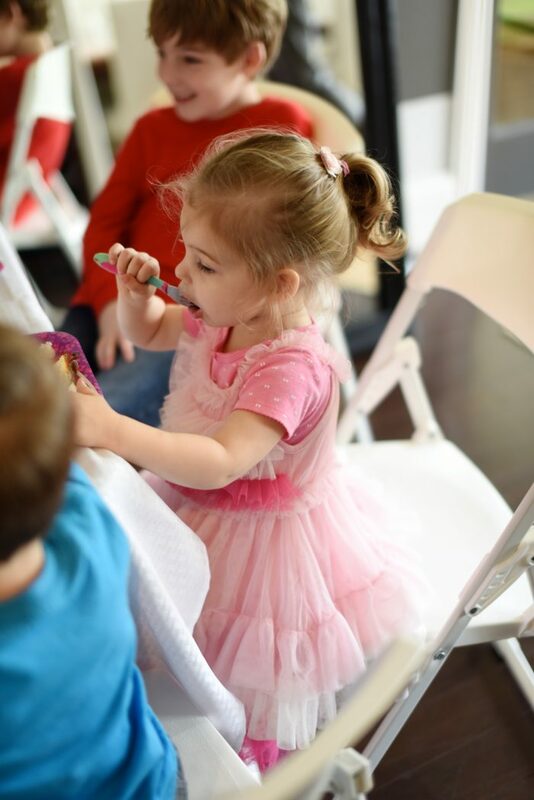 : ) Thanks for sharing your fun party! Wishing you a very Happy Birthday, blessings and health for the year ahead. You always have such GREAT ideas! Happy Birthday to you both! So fun!! Happy Birthday to you to Megan! The puppy adoption idea! Adorable!!! Happy Birthday to your sweet gal! It looks like it was lots of fun! It was my daughter, Sophia’s 5th birthday on the 19th. We did a dinosaur theme this year and a paw patrol party last year. 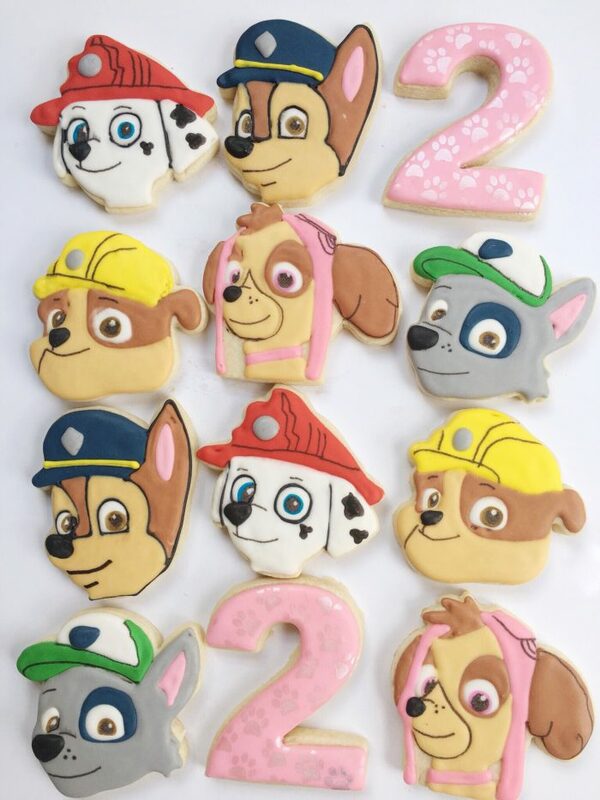 Love the Paw Patrol cookies. They look really cute. So fun! My daughter also likes Dinosaur Train right now! 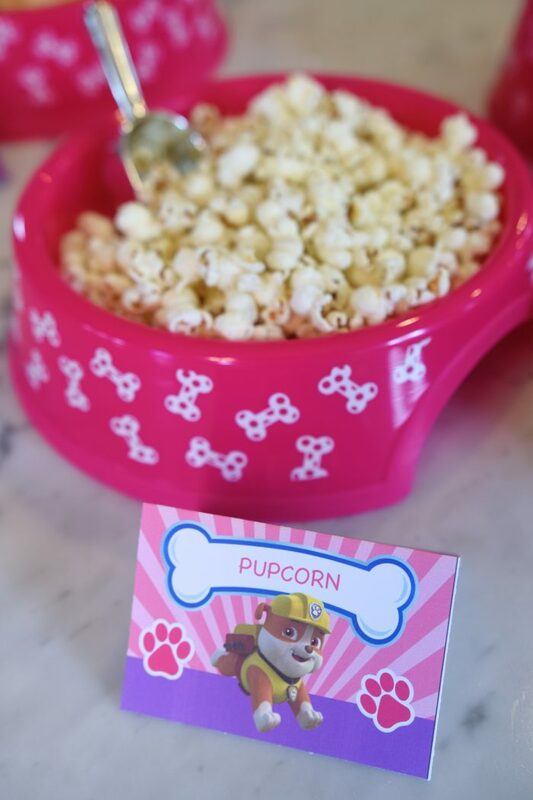 Where did you find the pink dog bowls? I have looked EVERYWHERE and cannot find them for my daughters party. Hi Sarah! I got those at PetSmart or somewhere like that!